Plumbing Estimates, Call Wimpy's Dependable Plumbing. Home / Sarasota Plumber / Plumbing Estimates, Call Wimpy’s Dependable Plumbing. Plumbing Estimates, Call Wimpy’s Dependable Plumbing. Plumbing estimates, call Wimpy’s Dependable Plumbing. We want you to Love Your Plumber. So we will send a Florida State Certified Licensed Master Plumber, at no charge to your home, to give you an estimate on your plumbing repairs or bathroom/kitchen remodel projects. Why not try us, there is no one out there like us! We care about you and your plumbing needs. We want to give you an estimate that doesn’t cost you a thing. 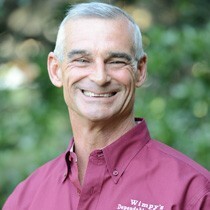 You owe it to yourself to experience the level of service that Wimpy’s Dependable Plumbing provides to its’ customers. We are not here to provide you service just one time. We want to be your Plumber for a lifetime! Mutual trust comes with time. We want the chance to earn your trust. Remember the name, Wimpy’s. Wimpy’s Dependable Plumbing. We strive to live up to our middle name, Dependable. The plumbing system in your home, is the heart of your home. We all take our plumbing for granted, until something overflows or we have a flood. When one of these things happen, you want someone you can trust and who will get there to take of it for you. Now you know who that company is! Call today and just say you want to be a customer, even though you don’t have a problem right now. You will get to speak to the most pleasant person you can imagine. Call 941-322-1911 or schedule online at www.Loveyourplumber.com. You will be glad you did.